All Posts / Our Championships / 2018 U-18 Canadian Curling Championships begin Monday in Saint Andrews, N.B. The event, for players ages 17 and under as of June 30, 2017, will be staged at the W.C. O’Neill Arena Complex, using both a hockey arena and the three-sheet Heather Curling Club, which is part of the complex, and will feature teams from 13 Member Associations in each gender (Nunavut did not enter teams, while the Yukon did not enter a boys team). At the inaugural Canadian Under-18 Championships last year in Moncton, Northern Ontario teams swept both gold medals. On the boys side, Jacob Horgan’s team (vice-skip Max Cull, second Nicholas Bissonnette, lead Shane Robinson, coach Gerry Horgan) from Sudbury is back intact to defend its title, while there will be a new girls team from Northern Ontario, skipped by Sudbury’s Bella Croisier. Sudbury’s Kira Brunton claimed gold last year. And while many of the players will be unfamiliar to curling fans across Canada, some last names will be very familiar. On the girls side, Team B.C. 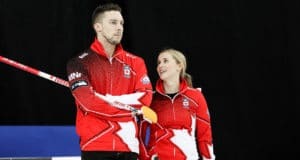 from Vernon is skipped by Jaelyn Cotter, the daughter of seven-time Tim Hortons Brier participant Jim Cotter, who is coaching the team. B.C.’s boys team, skipped by Dawson Ballard and hailing from New Westminster and Coquitlam, also has some championship bloodlines. Second Joshua Miki is the son of Bryan Miki (who coaches the team); Bryan played second on Greg McAulay’s team that won the 2000 Brier and world men’s championships. Round-robin competition at both facilities will begin Monday at 6 p.m. (all times Atlantic). Selected games from the 2018 Canadian Under-18 Championships will be streamed live for viewing on-line. 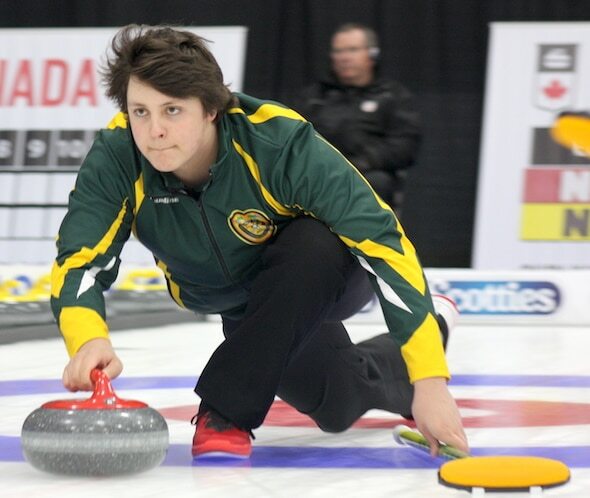 Go to the event website, www.curling.ca/2018under18/, for links and more information. 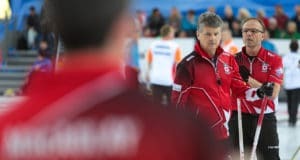 The teams will be split into two pools in each gender — two pools of six in the 12-team boys competition, and two pools of seven in the girls event (with 13 Member Associations competing in the girls competition, a host team from New Brunswick also is competing in order to create two even pools). The top four teams in each pool will move into an eight-team championship double-knockout playoff round beginning on Friday, April 13. That will determine four teams in each gender for the Olympic-style semifinals on Saturday, April 14, at 1:30 p.m. AT. The semifinal winners will play for gold while the losers will play for bronze at 6 p.m. AT the same day. Additionally, the teams that don’t make the playoffs will take part in a mixed doubles competition. 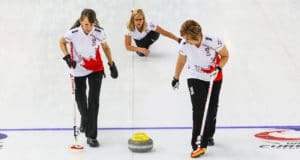 For information on team lineups, schedules and tickets, go to the event website: www.curling.ca/2018under18/.